How to create a co-ordinate color scheme if pink is your favourite color using soft pink accents and vibrant fucsia wich work well with the fresh texture of complimentary foliage. 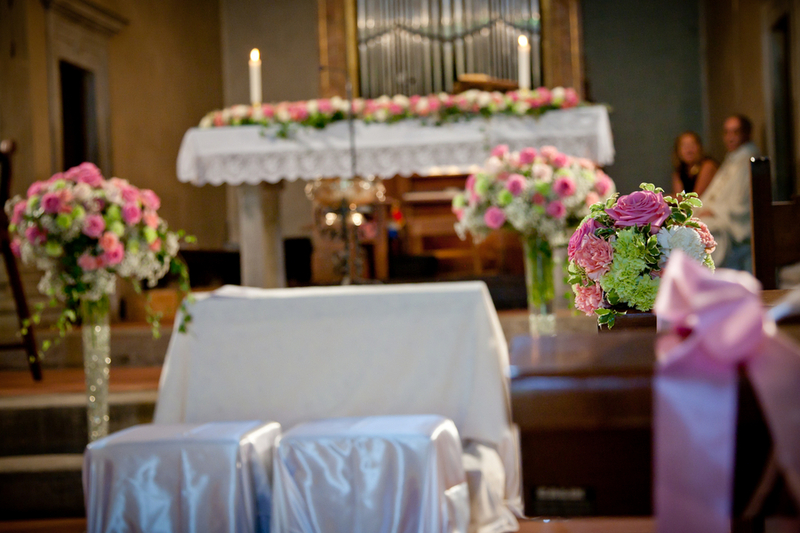 Of course the classic way to decorate a church ceremony is with an eye-catching altar’s arrangement. 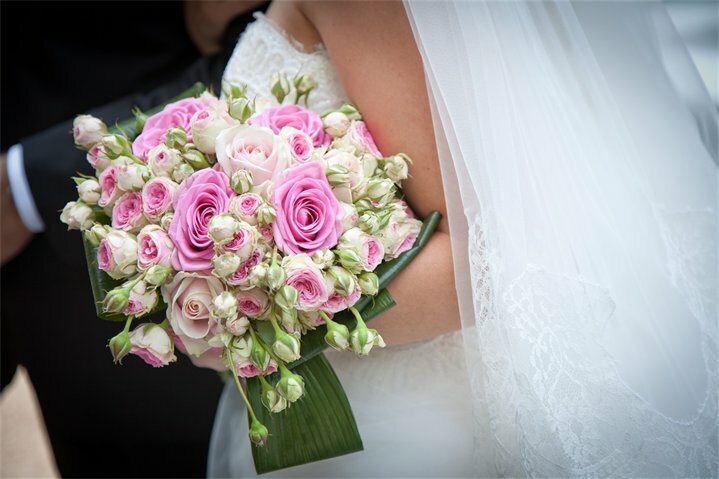 I loved blending sweet avalanches roses with ‘Aqua’ rose, bright corale and pale green carnations while bridal’s bouquet is a gorgeous combination of pink roses wrapped with aspidistria leaf.